12-year-old Jennifer’s world came shattering down around her as she listened to her dad announce to the family that he had gotten another woman pregnant and was leaving to be with his girlfriend and new daughter. Being the consummate con artist & scumbag, he even tried to spin it as “good news”. Jennifer’s deadbeat dad left her, her mother, and 5 younger siblings completely destitute. 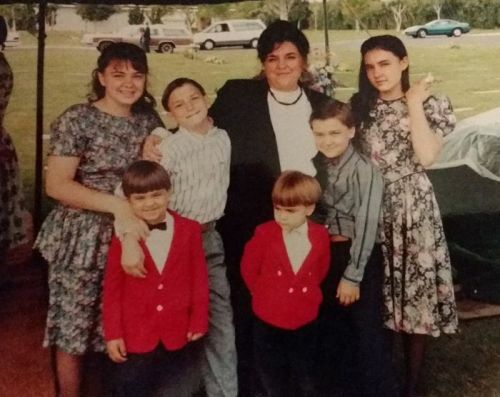 Jennifer’s mother Deborah, without any higher education or vocational training, struggled every day to put food on the table, all the while trying to raise 6 kids (the youngest just a baby). She even resorted to rooting through local grocery store dumpsters for tossed-out bread to feed her children. And as bad as things were, just a couple of months later, the busted up family station wagon had a blowout on the Southern California freeways that smashed them into the median. And though the car was beat up; luckily no one was hurt. However, they were all scared, hot, and crying in the middle of a busy California freeway. Deborah, already frazzled by the stress of being a poor single mom, was now a wreck herself. To make matters worse, they were on the way to the dentist! (Who had generously donated his time!) How would they get there? How would they get home? There was no possible way Deborah could afford to repair this beat up wagon, let alone replace it. Obviously, the children weren’t the only ones crying. Just a few minutes later, CHP Officer Steve Beeuwsaert stopped to survey the scene, and found a pitiful sight. Officer Beeuwsaert called a wrecker to clear the car off the road, and then piled this poor flock into his cruiser, and set off for the dentist. Dropping off young Jennifer and her family, he then stayed in the parking lot to do paperwork, including writing out a personal check for $250, which he then presented to Deborah. He then made sure the family got back home safe & sound. But despite his help & generosity, they were now minus a vehicle. Eveen so, Deborah was so grateful she had to do something to thank Officer Beeuwsaert. So she baked a cake, dressed her kids in their Sunday finest, and went to the local CHP office. She gave him the cake and the family sang for all the officers. It was all they had to give, but it was enough. Grizzled cops cried like babies. News of this event spread, and then another miracle happened. A neighbor who had been blessed in her own life heard this tale and felt the Spirit of Charity move on her and couldn’t resist. That day she presented Deborah and her family a brand-new, fully-loaded, beautiful, safe, & reliable minivan. No strings attached. This minivan wasn’t just transportation. It was independence, dignity, and a turning point in young Jennifer’s life. Deborah’s kids immediately nicknamed it “the white dove”, after Noah’s doves. They knew that the flood would recede, and that they too would eventually reach dry ground. And they knew that Angels walked among us. Now that Jennifer has been blessed in her own life, all she can do is pay those blessings forward and continue the cycle of True Love that began so many years ago. So, Jennifer (Co-Founder of True Love Skin Care), has pledged to set aside a portion of every product sold towards Minivans 4 Moms, which is dedicated to providing reliable transportation for families in need. Jennifer, and her company True Love Skin Care, are determined to bring independence and dignity to others the way that minivan brought it to her mother and family. Pay it Forward!